What is Better ,Coconut Sugar Or Cane Sugar ? Cane sugar is the most famous type of sugar which the majority of the consumers worldwide use for daily purposes. There is a fact that the consuming more sugar is not healthy and it causes some serious problems. Like using cane there are so many types of sugar can be created in a different type of foods. Coconut is another form of fruit which can create sugar. In here we are a plan to discuss whether it is good to use coconut sugar for our daily consumption. There are so many different types of sweeteners available in the market and some of the food sweeteners are contained highly artificial contents such as high fructose contained corn syrups and other highly processed sweeteners. Coconut palm sugar is created by the cult of the coconut flower ion the coconut palm tree ant the tuba or sap of the coconut flour is collected and this slap is heat to evaporate the water content and the best part is coconut sugar. But it also needs to remember that the all types of natural and artificial sweetener contains a high rate of glucose. 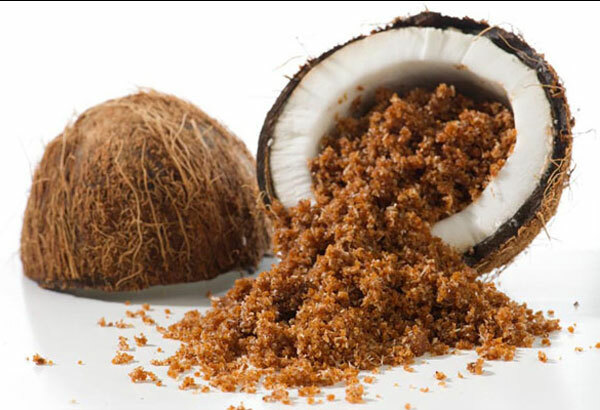 However, coconut palm sugar gains its popularity rapidly due to its unique taste. The tasted of coconut sugar is much similar to brown sugar and the appearance is also brownish. However, the coconut sugar contains high nutrient ion content and the effective calories of this sugar are also in good value. The high nutrient contents such as calcium, Potassium, iron and other mineral enriched in this sugar content. Is it good for Diabetic Patient? There is a huge debate that this type of sugar is good for our health or not. Some researchers say that this coconut sugar is good to the consumer and you don’t have to get worried on the diabetics and some may disagree. However, the coconut sugar consists a special type of fiber called inulin and this fiber is slow down the absorption rate of the glucose. Since it reduces absorption the so this inulin help to reduce the glucose level which is good for diabetic patients. According to the records of Food and Nutrition Research Institute (FNRI), coconut sugar contains phytonutrients (polyphenols, flavonoids, and anthocyanidins). It’s said that some of these phytonutrients content help to reduce some dangerous ailments such as low blood sugar, cholesterol, and inflammations. Coconut Palm sugar is very similar to the ordinary table sugar which we use. However, the manufacturing process is unique and natural. Coconut sugars also contain some of the important nutrients which regular cane sugar not provide. So as a conclusion we can say that coconut palm sugar is less bad compared to ordinary cane sugar. But anyhow consumptions of more coconut sugar for your daily routine are not advisable.